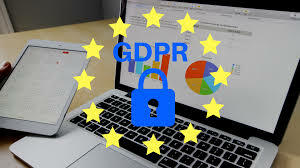 The European Union unveiled the General Data Protection Regulation (GDPR) on 25th May 2018. This is a set of rules that compels all companies that deal with personal data of any residents of Europe and the United Kingdom to adhere to certain regulations such as data security, privacy measures, and declaration by a company or a network about their intention of using personal data that they hold. Basically, it the GDPR comprises of a default data policy that ensures that induvial have 100% control over their data. At a narrow perspective, one may be mistaken to conclude that distributed ledger technology platforms automatically meet the minimum GDPR standards. This may be true given that Blockchain-based networks are often decentralized which means that individuals have total control over their personal data. Further, cryptography can be interpreted as a way of protecting privacy while ensuring that individuals have the ability and final will to determine what happens to their personal information. Blockchain-based networks use protocols that enforce decentralization, transparency, and self-executed transactions within a secure ecosystem. There are also some exceptions such as Ripple that have a centralized performance where Ripple lab manages transactions. Further, the data that is stored in the nodes or blocks is usually cryptographed for privacy. However, there is the aspect of immutability that can expose data to unauthorized third party especially in permissionless networks such as Bitcoin and Ethereum. This eventually leads to violation of GDPR rules. Hence, further investigation of Blockchain reveals that GDPR rules require customized DLT solutions that protect users’ data. A joint research by the University of Cambridge and the Queen Mary University of London has found out that it is possible for Blockchain network engineers to design DLT platforms that are in full compliance to the GDPR standards. The study report was documented in the ‘Richmond Journal of Law and Technology’. It further revealed that the biggest hindrances to faster adoption of Blockchain-based solutions in the EU, unlike in other parts of the world such as the US and Japan, include uncertainty and exorbitant fines. These are the sanctions that GDPR rules violation attract. To work around the GDPR, the study singles out immutability as the DLT feature to redesign. Another area that may need change entail removing of data from network blocks. The solution involves encrypting entries on the blocks and then deleting decryption keys. This results in indecipherable data that can not be of any use to anyone. Additionally, the finding reveals that ‘off-chain’ storage models can be applied in removing Blockchain data from risks of online security breaches. The EU laws on data privacy are said to have had an impact of restricting the adoption of Blockchain technology in a great way. However, redesigning platforms can not only lead to success in the long-run but ensure that Blockchain solutions including Cryptocurrencies and Tokens contribute to the growth and development of various sectors all points of the world.